Question: Adding text to ideogram in ggbio (or other method recommendations)? 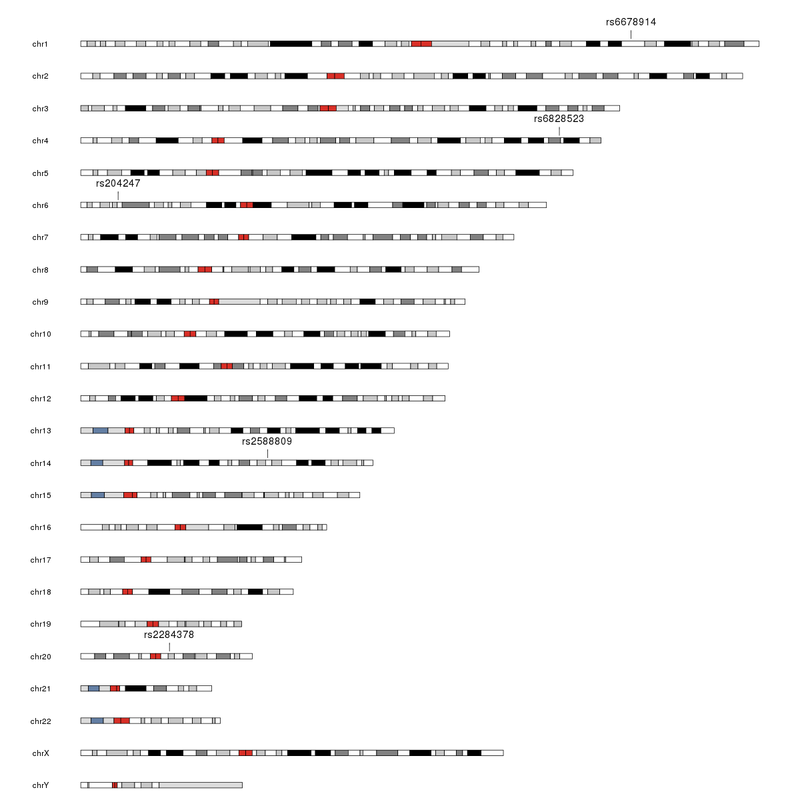 I have a bed file with the chromosomal coordinates of some snps and their RsIds, e.g. However, I would also like to annotate it with the RsIds. How do I add text to these plots (so each dash indicating a variant also has the respective rs id)? Alternative suggestions for generating such a diagram are welcome! This is an old thread, but posting in case anyone has the same problem.